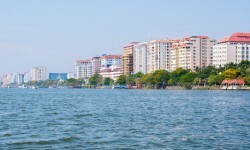 Home sales in India’s nine key real estate markets increased about 30 per cent year-on-year in the third quarter of the current financial year (Q3 FY'19), data available with PropTiger.com show. According to Realty Decoded, a quarterly analysis of top real estate markets by PropTiger.com, a total of 73,691 housing units were sold during the quarter ending December. When compared to the previous quarter, however, sales have declined eight per cent. The cities included in the analysis are Ahmedabad, Bengaluru, Chennai, Gurgaon, Hyderabad, Kolkata, Mumbai, Noida and Pune. A city-wise comparison shows Pune and Mumbai registered the biggest improvement in sales numbers during the quarter. While annual home sales increased about 59 per cent in Pune, Mumbai saw sales going up 54 per cent. Other cities where sales increased significantly include Hyderabad, Chennai and Kolkata. With the sale of 5,813 units during the quarter, Hyderabad registered over 36 per cent increase in home sales. Similarly, 4,213 units were sold in Tamil Nadu capital Chennai during the quarter, marking an increase of over 25 per cent increase. In Ahmedabad, home sales increased by over six per cent during the quarter. In comparison, Noida and Bengaluru saw only a marginal increase in homes sales numbers. When compared to 4,225 units in Q3 FY'18, 4,386 units were sold in the Noida region during the December quarter in FY'19, marking an increase of about four per cent. In Bengaluru, sales increased only 2.5 per cent y-o-y. 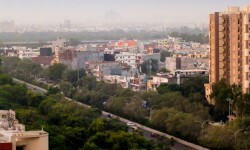 Gurgaon was the only city where home sales decreased during the December quarter. When compared to the sale of 5,017 units in the same quarter in the previous financial year, only 3,711 housing units were sold in the Millennium City in Q3 FY'19. The report attributes this fall of over 25 per cent in home sales in Gurgaon to non-approval of affordable housing projects in a market known for its expensive properties. A total of 45,270 units were launched across the nine cities in Q3 when compared to 44,054 units in Q3 FY'18. From 2,458 units in Q3 FY'18, 6,074 units were launched in Gurgaon in Q3 FY'19, a growth of 146 per cent, the highest seen in any city during the quarter. In Bengaluru also, new launches increased 136 per cent during the quarter. Chennai (96%), Pune (69%) and Kolkata (8%) are the other cities which saw new launched going up in Q3. Cities where new launches declined y-o-y include Hyderabad (66%), Noida (56%), Mumbai (48%) and Ahmedabad (19%). 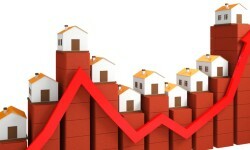 Reduced launches and improved sales brought down unsold inventory by 10 per cent to 799,081 units during the quarter. Inventory overhang has also decreased to 31 months as compared to 34 months in the previous quarter. Ahmedabad has the highest inventory overhang of 45 months, followed by Kolkata at 41 months. Hyderabad has the lowest inventory overhang of 20 months, followed by Chennai and Bengaluru, at 22 and 24 months, respectively.